Asus built a screen into a touchpad. Is it the future of computing or a gimmick? Asus needed its newest ZenBook Pro to stand out against a crowd of 15-inch notebooks, and it chose to dramatically remake the old-school touchpad as the cornerstone of its efforts. It’s an interesting idea held back by some limitations. 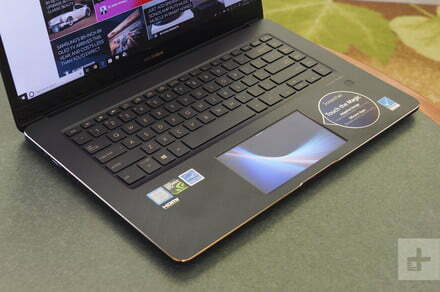 The post Asus built a screen into a touchpad.